“I am baptized into Christ!” While singing this beloved hymn, follow along as a baby boy is born of water and the Spirit and grows in his baptismal grace until he receives the crown of life. Children and adults alike will delight in these colorful scenes of Christians living the truths of their faith. 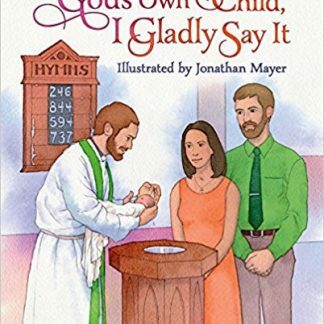 Includes a special presentation page, making this a beautiful gift and keepsake for God’s own child, young or old. Hardcover. 32 pages. Size 10″x 8″. 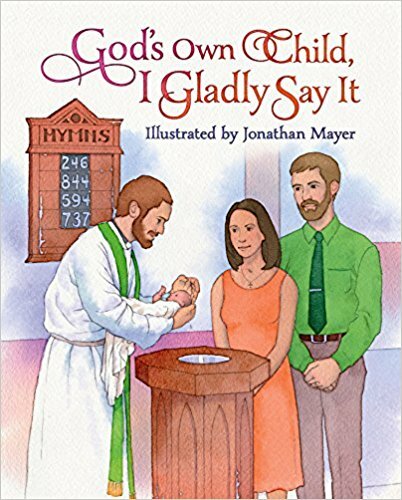 Children and adults alike will delight in these colorful scenes of Christians living the truths of their faith. Includes a special presentation page, making this a beautiful gift and keepsake for God’s own child, young or old.